Work has started on the installation of 10 new state-of-the-art CCTV cameras in Aberystwyth. Contractor, Baydale Control Systems Ltd, is started the work work in the seafront town on Monday, February 11. Over 120 cameras are being installed in 17 towns across the police force area of Pembrokeshire, Carmarthenshire, Ceredigion and Powys. 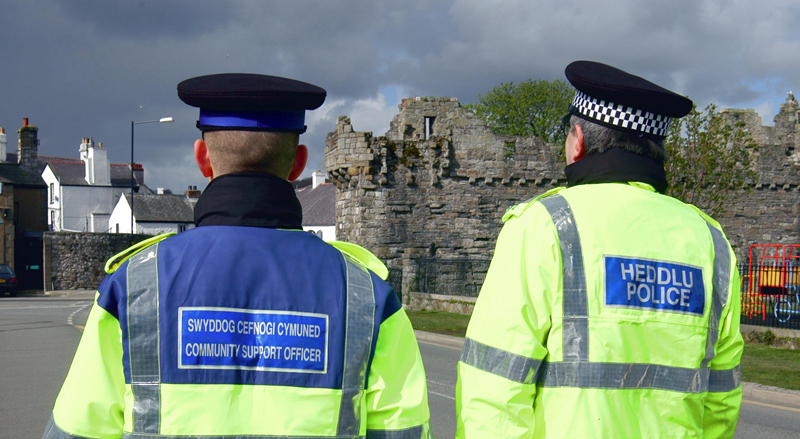 The programme of works across the force area is huge and is being implemented by Dyfed-Powys Police in line with the Police and Crime Commissioner’s election pledge to reinstate public-space CCTV across the force area. Since July 2018 the new CCTV cameras have been installed in Builth Wells, Carmarthen, Llanelli, Ammanford, Saundersfoot, Tenby, Milford Haven and Haverfordwest. Police and Crime Commissioner Dafydd Llywelyn said: “Aberystwyth is a busy town within the Dyfed-Powys Police force area where CCTV is required to safeguard communities and assist in investigations. Crime mapping analysis has identified 10 locations for cameras for the town and I am delighted that work is to begin there very soon. A modern CCTV Monitoring Room is also being introduced in the Force Communication Centre at Police Headquarters, Llangunnor, which will allow cameras to be monitored centrally by dedicated staff. Project Manager Marie McAvoy said “I am grateful to the team I work with for their continued determination to ensure this project is delivered for the benefit of the communities we serve. Further information about the camera locations is available on the Dyfed-Powys Police website.